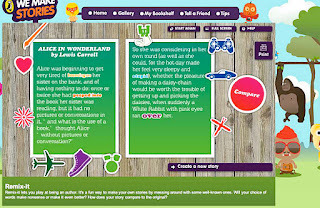 Thanks to Sandy Fussell from Stories are Light blog, I discovered two online places where children can play with story. 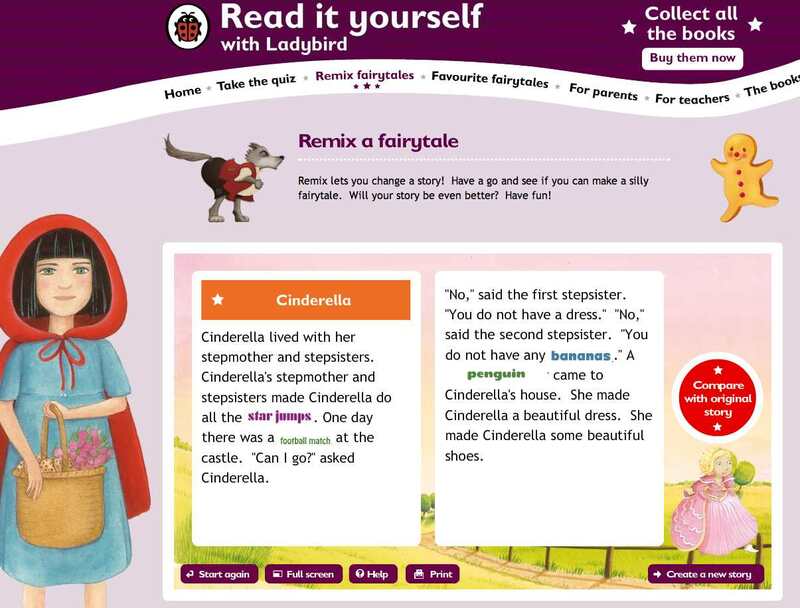 The idea at We Make Stories and at Read it Yourself with Ladybird is to change some words in short versions of traditional tales or classics, and make a new story of your own. Remix-it lets you play at being an author. It's a fun way to make your own stories by messing around with some well-known ones. Will your choice of words make nonsense or make it even better? How does your story compare to the original? 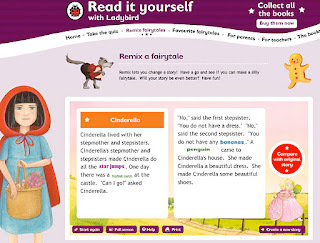 Remix-it is the only free one of six activities linked to Puffin Books. Kids drag and drop the word they choose into a space wherever it's needed. They can then read their stories, and compare them to the originals. Remix lets you change a story! Have a go and see if you can make a silly fairytale. Will your story be even better? Have fun! Once kids choose a fairytale, they drag their chosen word to where there's a word missing. For instance, the gingerbread man can skip, run, dance, ride a bike or rollerskate out the door. 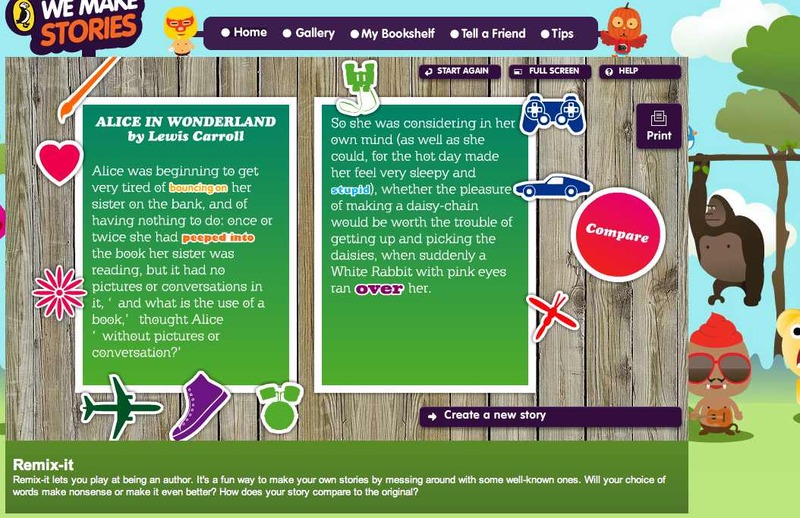 If you've been reading books like The Gingerbread Man, or Alice in Wonderland with your kids, these two websites might make a nice follow-up, giving kids the opportunity not only to revisit the story, but also have fun making a new one. Another way of doing a fill-in-the-blanks writing activity is Mad Libs. There's a huge list of mad-lib type activities for kids at the Education Place. Mad Libs is a really sneaky way to teach kids grammar!